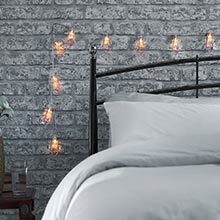 Fairy lights are a simple design solution to add light to any space, perfect for any home or garden. 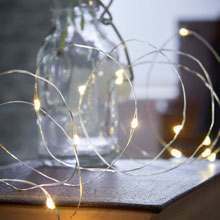 Simple string fairy lights and firefly wire fairy lights can be used to add subtle lighting touches to your home and grand connectable microwire curtain lights to make a statement. Children's rooms can be enhanced with fun unicorn fairy lights while orchid flower fairy lights add a grown-up touch to a room. We also stock a wide range of quirky fairy lights in different shapes including flamingo fairy lights, lemon fairy lights and Christmas fairy lights featuring light up reindeer and Santas. Whether you are looking to make a statement or create some ambience in a space, Festive Lights' range of fairy lights is a great choice. Here at Festive Lights, we stock an extensive range, these include both indoor and outdoor fairy lights, battery operated fairy lights, plug-in fairy lights and solar fairy lights, a solution to fit any situation. With many different styles available alongside a wide variety of colours and sizes, there is something for every space. Whatever you’re looking for, we have a range to fit your requirements and budget. If you're looking to add simple design touches to your home we have a wide selection of indoor fairy lights, whether you're looking for something simple and sophisticated for your living room or something fun and whimsical for a children's bedroom. Some of the more popular styles of fairy lights we sell include lantern fairy lights, which have an elegant look and are ideal for illuminating fireplaces and bed headboards; they come with on/off timers and are battery operated making them easy to place without the need for a plug. Our selection of outdoor fairy lights can make a great addition to any garden. Perfect to add to small shrubs, trees and patio areas, you can create unique lighting designs which help your garden stand out from the crowd and allows you to enjoy your space when it gets dark. Many of our outdoor fairy lights come with timer functions and automatic on/off which means you can set them to come on whenever you need them to. 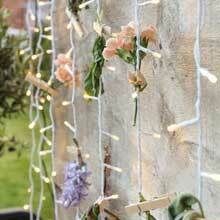 Need some fairy light inspiration? Then why not head over to our blog which is packed full of helpful advice and information to inspire you and help you make the right decision when it comes to your lighting. 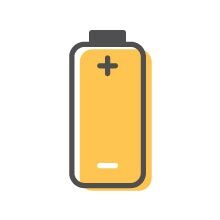 We're always on hand to assist, should you require any expert advice. Just give us a call, hop onto live chat or send us an email.